It’s fall y’all! 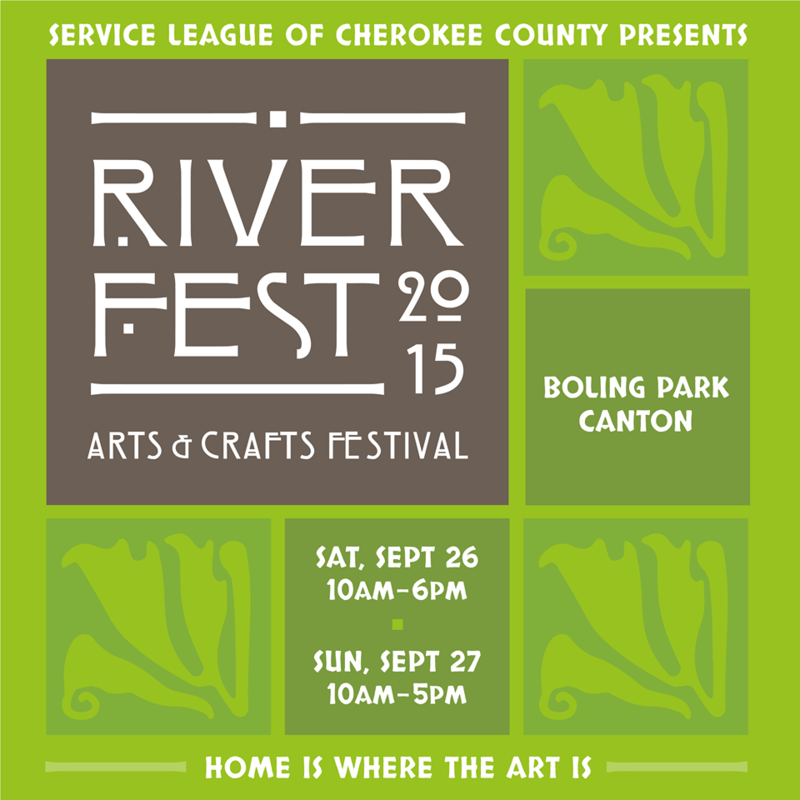 This means that the Service League of Cherokee County is in the homestretch to their big annual event, Riverfest! With 30 years of successful Riverfest Arts and Crafts Festivals under its belt, nothing is slowing down the service league from pulling off another fantastic fundraising event in 2015. Riverfest 2015 has a new addition to share. A brand new Community Expo will be included in this year’s event. Visit your favorite non-profit groups and organizations to find out what’s going on and how you can get involved in your favorite cause. Arts and crafts festivals are about the arts and crafts of course, but there are always tons of other attractions at Riverfest. As a juried arts and crafts festivals, only those artists, crafters, and vendors that have demonstrated exemplary products are accepted as exhibitors. Take a sneak peek at the funnel cakes that will be provided by the St. Clement’s Episcopal Church and view a sampling of arts and crafts goods on the Riverfest Facebook page. One portion of Riverfest that is fun for everyone is the scarecrow exhibition. This friendly competition allows individuals, families, organizations, and businesses to enter their fall scarecrow creation in an attempt to win a variety of prizes. These unique scarecrows are located throughout Riverfest and help set the fall mood and tone! List of Attractions: Arts and crafts, entertainment, scarecrow competition, food vendors, and a children’s area. 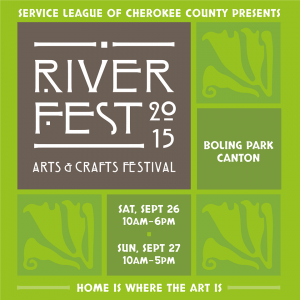 Access more details regarding Riverfest and the Service League of Cherokee County at the Service League site and follow Riverfest on Facebook for up to the minute details. Image courtesy of the Service League of Cherokee County.